Internationally acclaimed mezzo-soprano, Anne Sofie von Otter is one of the most successful singers of her generation with an extensive and varied discography representing her numerous and diverse operatic roles, her eclectic palette of recital programmes and her immeasurable oratorio and concert repertoire. She collaborated with pop icon Elvis Costello on the disc For the Stars and in October 2010 released her first recording with Naïve, Love Songs, a collaboration with legendary jazz pianist Brad Mehldau. 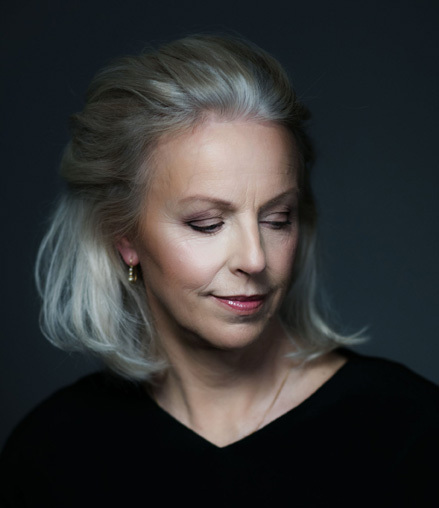 Anne Sofie von Otter’s impressive recording catalogue has been acknowledged by numerous awards including a Grammy Award for Best Classical Vocal Performance for Mahler’s Des Knaben Wunderhorn, a Diapason d’Or for Watercolours – a recording of Swedish songs with her long-term accompanist, Bengt Forsberg – and in 2015 her double CD of French mélodies and chansons, Douce France received the Grammy Award for Best Classical Solo Vocal Album. Anne Sofie von Otter gained an international reputation as an outstanding Octavian (Der Rosenkavalier) with performances at the Royal Opera House Covent Garden, Bayerische Staatsoper, Opéra national de Paris and Wiener Staatsoper. She also performed the role as part of a series of engagements with James Levine and the Metropolitan Opera; and a recording under Carlos Kleiber is available on DVD. Other seminal opera recordings include Le nozze di Figaro under Levine, Orfeo et Euridice and Alceste under Sir John Eliot Gardiner and Ariodante and Hercules under Marc Minkowski. Successfully sustaining her international reputation and profile, she remains in demand by the world’s leading conductors, orchestras and opera houses with recent highlights including Geneviève (Pelléas et Mélisande) under Philippe Jordan for Opéra national de Paris (available on DVD), Leonora in the world premiere of Thomas Adès’ The Exterminating Angel at the 2017 Salzburg Festival, and Waltraute (Götterdämmerung) at Wiener Staatsoper under Sir Simon Rattle. In 2011 she was honoured to appear with the Berliner Philharmoniker conducted by Claudio Abbado for a performance broadcast worldwide on TV of Das Lied von der Erde marking the one hundredth anniversary of Mahler’s death.